StampSelector is an online philatelic investment and stamp market resource, providing practical information for stamp collectors, stamp dealers, and investors. This includes stamp investment tips, general commentary on the stamp market, and practical advice regarding building a stamp collection and profiting from philately. In 1959, Iran issued a stamp celebrating the visit of the Pakistani President Ayub Khan (Scott #1135). 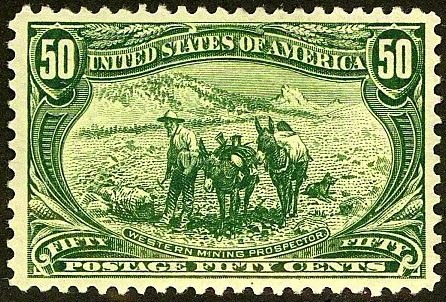 100,000 were issued, and Scott '14 prices the unused stamp at $10.00 . This inexpensive stamp has a potential dual market among collectors in both Iran and Pakistan, since it portrays the dictators of the time from both countries. It is likely that most were used as postage and discarded. I believe that the stamp is undervalued due to the unpopularity of Iran's stamps, a consequence of its current pariah status. Currently, Iranian stamps of the pre-revolutionary period are primarily of interest to collectors among the Iranians living abroad, a relatively affluent group, of whom there are about 1.3 million. Note that a common defect found on many Iranian stamps of the '50s is badly toned, "gloppy" gum. When purchasing #1135, endeavor to select examples with clean gum. Stamps of Iran are not widely collected at present, partly for political reasons and partly because of the ubiquity of fakes among the early overprinted issues. Nevertheless, it is an oil-rich nation (ranked second in both oil and natural gas reserves) of 76 million people, and there are signs that many of them are becoming fed up with the corrupt and reactionary theocracy that is isolating Iran from the rest of the world. Furthermore, it is beginning to diversify away from its dependence on oil into other industries, such as biotech, nanotech, and pharmaceuticals, and it has the potential to develop a thriving tourism sector, should it institute reforms and begin to improve its image. Those interested in becoming part of an international community of stamp collectors, dealers, and investors are encouraged to join the "Stampselectors" group at Facebook. The group hosts lively discussions concerning stamp investment and practical aspects of collecting, and provides a useful venue for those who wish to buy, sell, or trade stamps. I create paintings as documentations of context, based on systems of rules. General Commentary - Does 3D Printing Mean Armageddon for Collectibles? Practical Advice: When Do Seconds Come in First?